In 1898, William Entenmann opened a bakery in Brooklyn. He delivered fresh-baked goods door-to-door in a horse-drawn wagon. 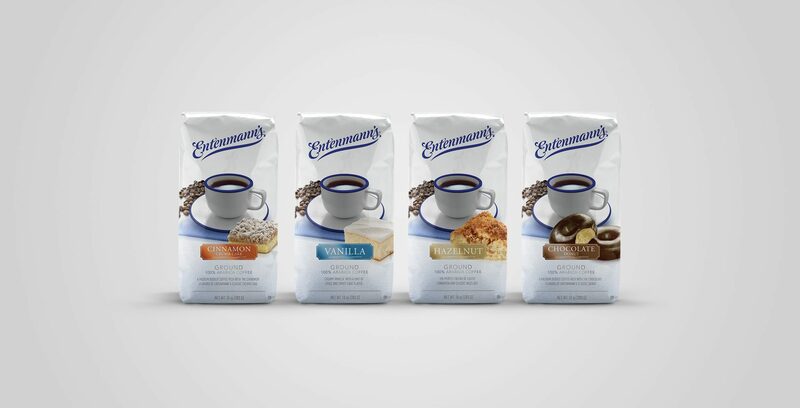 For generations since, Entenmann’s® cakes and baked goods have been a family favorite. 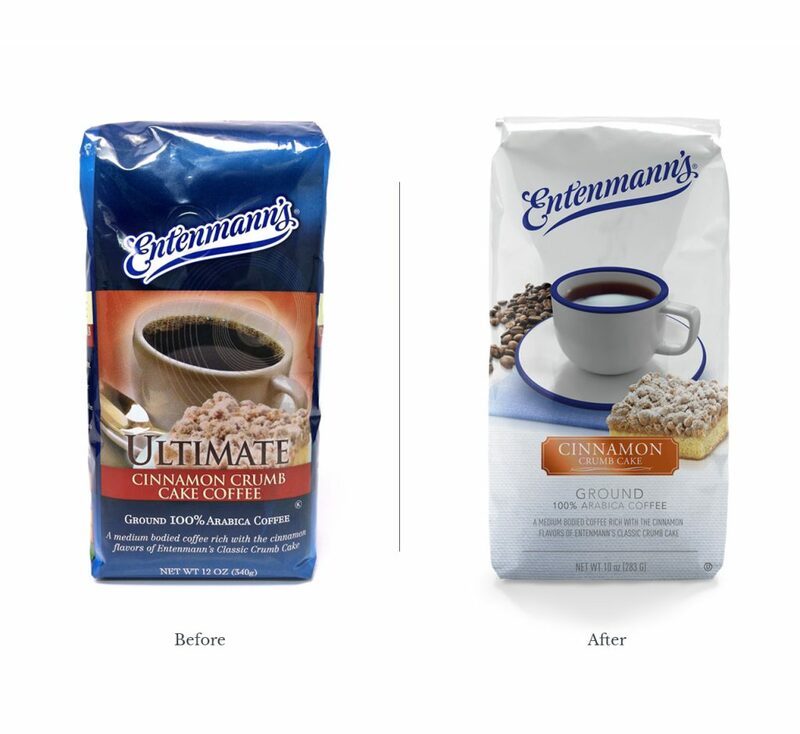 Their coffee brand captured their famous flavors, but sales did not fit the brand’s expectations. A rebrand of the packaging was needed to evoke the famous white cake box and improve recognition with customers.